Members of the Illinois House and Senate didn't stick around long during Thursday's special session to settle school funding. In fact, they adjourned in minutes. Gov. Bruce Rauner called on Democrats to do so Thursday afternoon. “President Cullerton, Speaker Madigan, turn in your homework,” he said. Rauner wants Senate Leader John Cullerton to send him Senate Bill 1, which the Illinois Legislature passed in May, so he can issue an amendatory veto to remove provisions benefiting Chicago Public Schools. Cullerton is holding on to the bill in the hopes of meeting with Rauner, who’s denied his requests. Cullerton says he’ll send the governor the bill on Monday in the event that they do not meet. Arnold says an amendatory veto will give the legislature 15 days to react. If the Senate sends Rauner the bill Monday, that deadline to respond will hit right around the time public schools are due to receive funds from the state, on Aug. 10. He says this timeline could create political pressure in support of an override. If the Democrats aren’t able to override the amendatory veto and the Senate doesn’t take action, the bill is dead. “There is no backup plan for how the state would fund schools,” Arnold says. He joins Paris Schutz in conversation. July 26: Illinois Senate President John Cullerton on the governor’s frame of mind: The latest on the special education funding session in Springfield. July 26: Chicago Public Schools CEO Forrest Claypool once again criticized Gov. Bruce Rauner, saying Wednesday the governor is putting his own politics ahead of the needs of Illinois students. July 25: Ahead of the special session called by Gov. 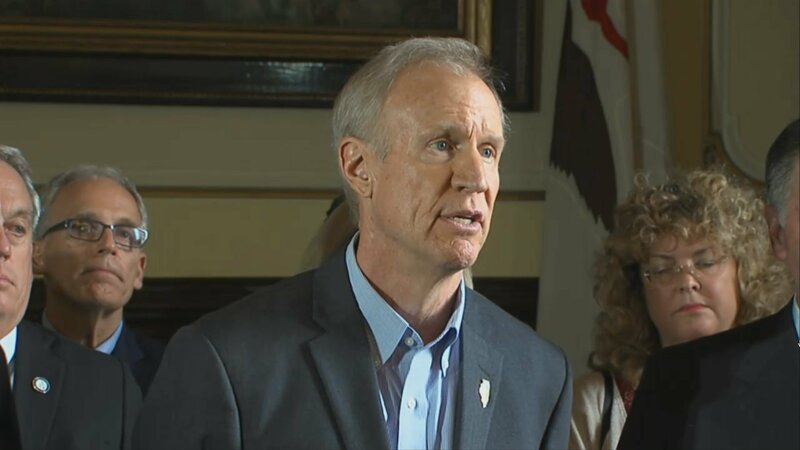 Bruce Rauner, lawmakers from both sides of the aisle weigh in on the battle over education funding.